MPT Tyres - When the going gets tough. 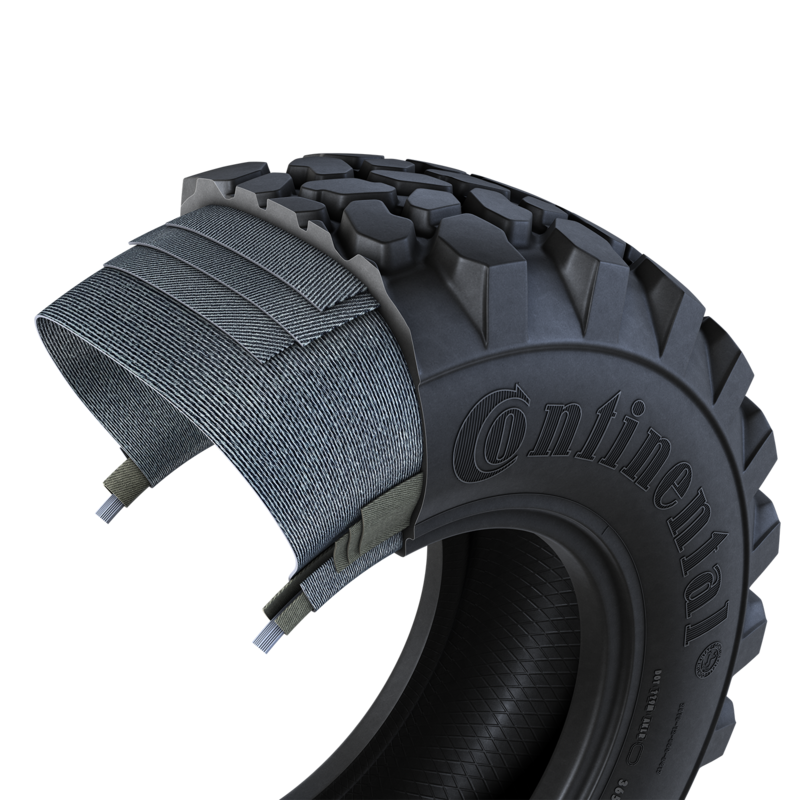 Continental Multi-Purpose Tyres are a blend of industrial, agricultural, truck and off-road tyres, combined into one single radial tyre. They are especially designed for mixed on and off-road use with a strong emphasis on tough conditions. The flexible carcass and the wide inflation pressure range allows for both high speed on-road and rough-ground off-road operations. Continental MPT Tyres show outstanding properties in traction and are also non-slipping on nearly all surfaces. With these self-cleaning tyres you will handle snow and ice areas, sand and mud, as well as loamy soil. Additionally you can carry high loads at up to highway speeds with Continental's MPTs. The special steel-reinforced tread, the strong sidewalls and flexible carcass enable this. Because of their ability to cope with unpredictable operating conditions, they are often used on rescue vehicles and multi-purpose vehicles. MPTs are also ideal for construction applications, road maintenance/clearance, and general usage for small earth movers, pickup trucks, brush fighter trucks, compact wheel loaders, and other small construction equipment.